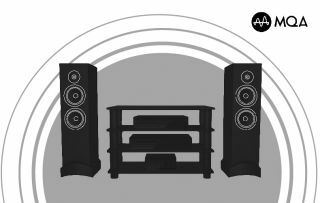 MQA: How to turn your listening room into the world’s greatest recording studio | What Hi-Fi? The convenience of music streaming has never been in doubt – nobody disputes the attractiveness of instant access to a vast library of music, available on demand. What has concerned discerning listeners is the resulting quality of the streamed sound. Compressing digital audio files to a size that makes them easily streamed has always impacted negatively on sound quality. Or, at least, it has until now. MQA technology delivers the music lover’s nirvana: the convenience of music streaming, with truly uncompromised sound quality. By focusing on preserving the timing data contained in the original master recording, MQA claims to deliver the authentic sound of the studio: fidelity the like of which has always been beyond music streaming technology. For the fullest possible MQA experience, allowing access to the entirety of the information inside a file, you need an MQA ‘Full Decoder’. There is a range of MQA Full Decoders already available, from mainstream leaders like Bluesound, NAD and Technics to high-end heroes such as Aurender, Bel Canto, Brinkmann, Cary Audio, Meridian, MSB, Mytek, Onkyo and Pioneer. They fall into several camps, including hi-fi DAC/pre-amplifiers (such as Mytek’s Brooklyn), music players/streamers (like Aurender’s TIDAL-streaming A10) and hybrids of the two (Meridian’s 818v3, for example). Each product offers precise file and platform-specific DAC compensation and management, unfolding and converting every bit of data contained in the MQA file. And they each include a visual cue – a light, or an on-screen graphic – to show you that they are playing back the MQA file at its fullest resolution. Partnered with amplification and speakers or headphones capable of conveying the fidelity of the signal they output, the sound they create is certified as the authentic sound of the studio: ready to transport you from your listening room to the mastering suite.